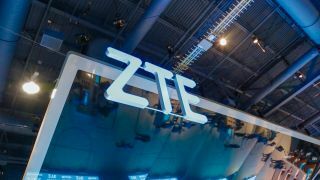 ZTE’s future is one again in the balance after the US Senate passed a defence bill that included an amendment that could block President Trump’s rescue plan for the company. The Senate voted 85-10 for the National Defense Authorization Act, a rare example of the Republican-controlled chamber undermining Trump. The Act had already been approved by the House of Representatives, but without the amendment concerning ZTE. This means the two houses will have to compromise and it’s likely that Trump will have his say on the matter too, having personally intervened to help ZTE overturn a seven-year ban from obtaining products and servers from US suppliers. The penalty was issued for breaching a previous agreement for illegally shipping products to North Korea and Iran. ZTE was obliged to discipline executives involved in the scandal, but failed to do so. However a new deal prompted by Trump would see ZTE pay a $1 billion fine, change its board and management, and put $400 million in escrow, means it can get back to work on its telecommunications network equipment and smartphones. ZTE will also need to replace its 14-strong board and dismiss all executives at senior vice president level of above. Any officers involved in the scandal will also be forced to leave, with as many as 40 staff at risk. Only last week, ZTE proposed a new financing plan worth $10.7 billion and nominated eight new board members as it sought to comply with the arrangement. However uncertainty has returned, with more than $7 billion wiped off the value of the company since it resumed trading last week.